Welcome to another Friday Feels where I share what I’m “feeling” this week. 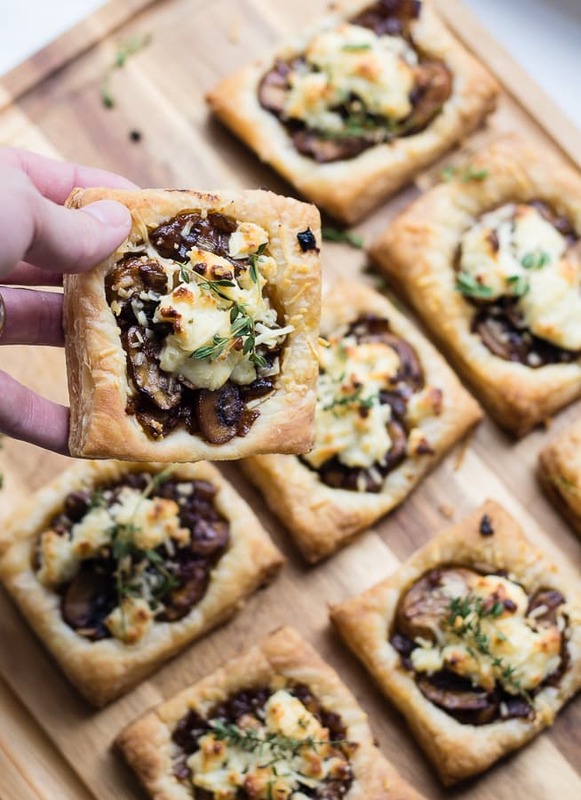 Balsamic Mushroom goat cheese tarts. This week, I’m feeling ready for all the cozy foods! In typical Michigan fashion, it was 75 degrees yesterday and it’s dropped down to a balmy 45 today. I’m embracing the cold with some comfort food and my fuzzy slippers. 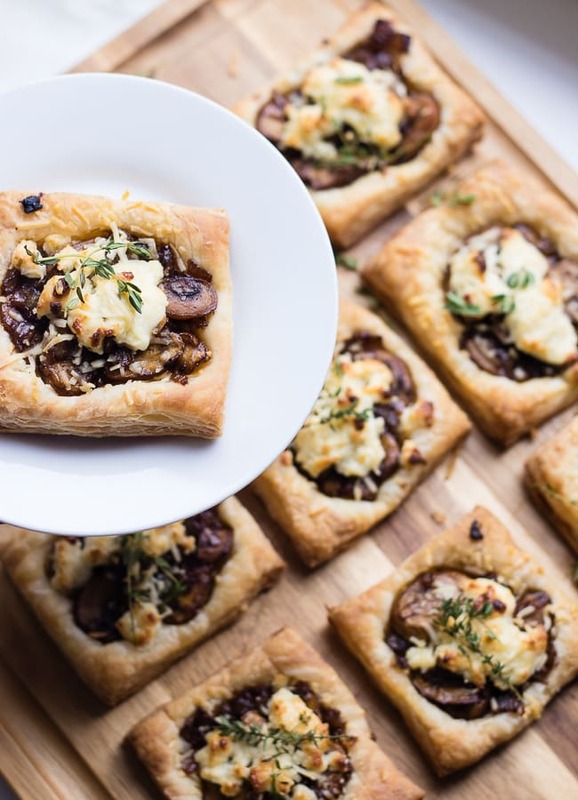 I made these Balsamic Mushroom Onion Tarts last weekend for a little afternoon snack for the Mr. and I, and they were so good. This is kind of a hybrid of two of my favorite appetizers. A tomato goat cheese tart and mushroom bruschetta, I sort of combined the two into one delicious appetizer! Puff pastry is my go to friend when I want to look way fancier than I am. I always keep a package or two in the freezer. You can top it with pretty much anything you have in your fridge or pantry, and it will taste good and look even better. These would be a great start to a dinner party or the perfect savory treat to bring to Thanksgiving. You can even make them bigger and serve with a salad for a light vegetarian friendly meal. Side note – I used garlic and herb Boursin cheese, because it’s what I had in the fridge. Any kind of herb goat cheese would be great though. Saute onion, garlic, and mushrooms in 2 tbsp of butter over medium heat. Saute for 20 minutes or until tender. Add balsamic vinegar and cook for 2-3 additional minutes, until thickened. Slightly roll out puff pastry sheet and cut into 9 squares. Score a ½ inch "crust" on the outer edge of each puff pastry. Dock the middle with a fork. Lightly grease a baking sheet and place puff pastry squares on it. Fill middle of puff pastry with mushroom filling. Top with boursin or goat cheese crumbles. Refrigerate until ready to bake. Bake at 425 for 15-20 minutes until golden brown. 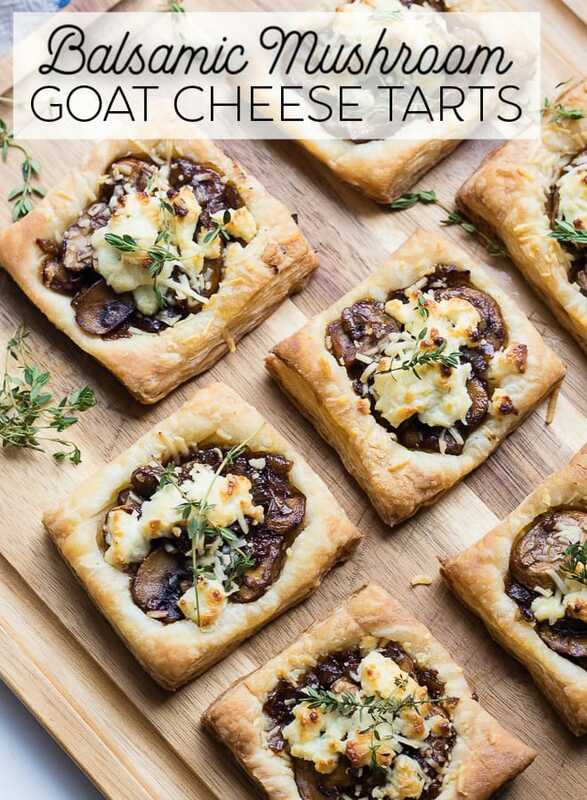 Let me know if you give these balsamic mushroom goat cheese tarts a try. SO many of you have messaged me that you loved my lasagna recipe (see that recipe here) and it makes my heart so happy that you are enjoying my Grandmother’s recipe. I’m trying to hunt down all my long underwear and winter gloves to gear up for tomorrow’s 9 am soccer game fun. Hope you all stay warm and cozy in this weather, happy weekend! Oh my word, these look amazing! Are they better served warm? I like them best warm! You could easily reheat them in an oven if you are bringing them somewhere or keep them in the fridge raw until you are ready to bake them. Thanks for sharing!! I now know what I am bringing as an appetizer for Thanksgiving! YUMMY! Yes they are the perfect Thanksgiving appetizer! Kelly, what does “dock the middle with a fork” mean? I’ve been cooking for 50+ years and am not familiar with the term. This recipe sounds heavenly! Hi Ginny, you just poke it with a fork all over, it keeps it from puffing up. They look wonderful! Ginny, docking just means to poke it all over with a fork. It allows the steam to escape and keep the pastry from bubbling up too much. It also encourages more even baking. No problem. I just saw her question and kind of jumped in. The recipe looks wonderful. Pretty much love anything with mushrooms in it! These sound so good! 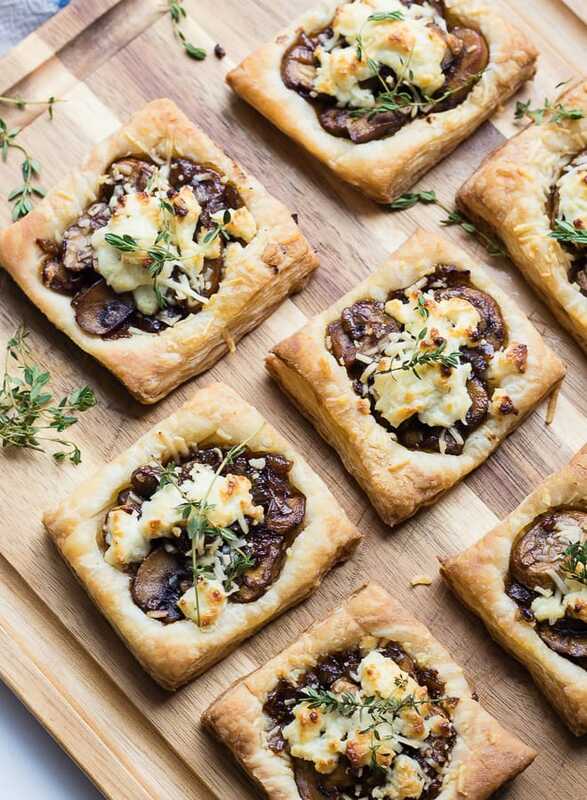 Balsamic, Mushrooms, Goat cheese…sounds scrumptious and so delectable as well as healthy! Thank you for sharing! Thanks Gloria, the puff pastry probably cancels out some of the healthy lol! Thanks for the inspiration! These will definitely be on the autumn menu and into the holidays! Oh great Lisa, I hope you love them! One of my favorite combos! I make a pizza very similar to this and add fresh mozzarella, Parmesan, roasted garlic with a white wine butter sauce….SO good! Oh yum! That sounds fantastic!